I wasn't expecting the Dukes of Hazard. On a misty, balmy Minnesota morning, we walked up and down a concrete forest of balsam and fraiser firs, inhaling the giddy pine fragrance. "This one," Mark declared, pointing to a chubby fraisier fir in the second row of leaning trees. Daniel and I peered closer to see if we agreed. Despite its branches still frozen high in the air, we could see a full-girthed beauty and shape to the Christmas tree he had chosen. We cheered and agreed. Mark ran into the hardware store to pay, while Daniel and I stomped around the lot, bounced dewdrops off the rows of trees, and sucked in fresh rain-wet air. Slicing three inches off the bottom of the tree, the store clerk helped us tie the Christmas tree to the top of our small car. Suddenly, we noticed it. Due to unusual twine-wrapping skills this year, Daniel and I were locked inside the car, doors tied shut in twine. Mark was trapped outside the car. I laughed. "You'll have to jump through the windows like the Dukes of Hazard," I said, flashing my eyebrows at him. Without hesitating for a second, my handsome man broke into a husky first line of the song, and slid feet first into the car! I cried out with pleasant surprise, impressed and delighted at his quick wit. "You should sing some more," I flared my eyes at him, smiling slow into his eyes. "I like your deep voice." He grinned and put the car in gear, backing around the corner and pulling onto the road. I stopped him, leaning in for a kiss, and we joked the rest of the way home. There's something about choosing the way we see our husbands, huh? 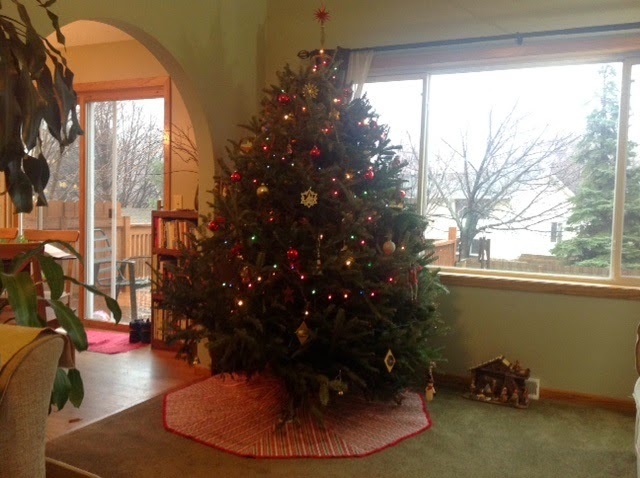 On a weekday morning during a short break to decorate the Christmas tree before the eldest dashed off for finals week, and my daughter's high school geometry and biology coursework piled up, we get to choose. With dishes stacking high, laundry unfinished, and a workweek just minutes away, we always get to choose. We choose how we see our men, how we respond to our kids, how we frame our days. 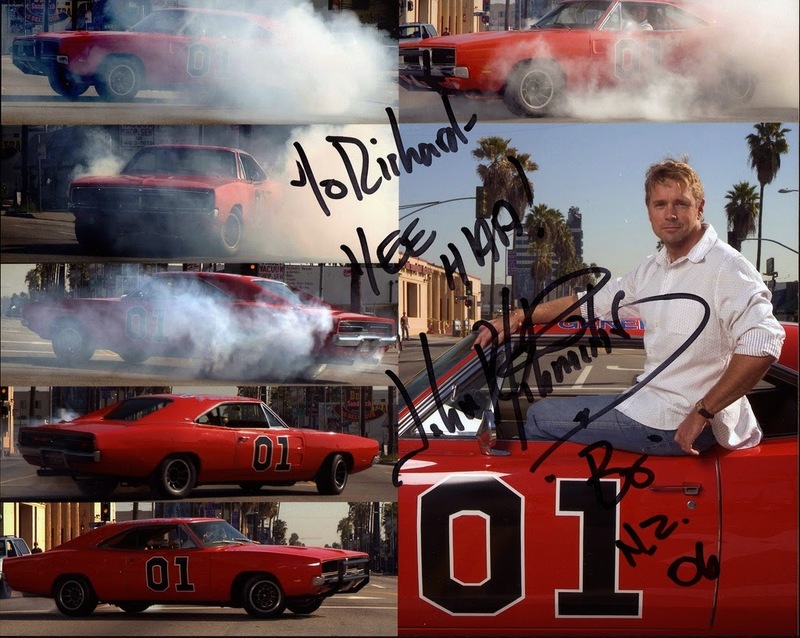 I wasn't expecting Dukes of Hazard, but I loved that glimpse of my man, and chose to see him that way all week. It wasn't about a television show or any actors from the eighties. It was the sudden glimpse of a quick-witted man, singing to me in a husky voice, and jumping feet-first into the car. We get to choose what we remember and focus on. Do not act out of selfish ambition or conceit, but with humility think of others as being better than yourselves. Gotta agree with Caleb. Oh, I better add "wife" to your list. LOL Nice tree. And to me...there is nothing like the smell of pine. Choosing our outlook is an ongoing process. It's been my theme for this year that God help me with my perspective. Good post Jennifer. Great wisdom, sister. We all get to use the gift of free will to choose our perspective. Wonderful and wise thoughts.